Monica Dickerson talking to teens about her two careers, epidemiology and soap making. Teens at the Atlanta Teen Science Café welcomed speaker Monica Dickerson. 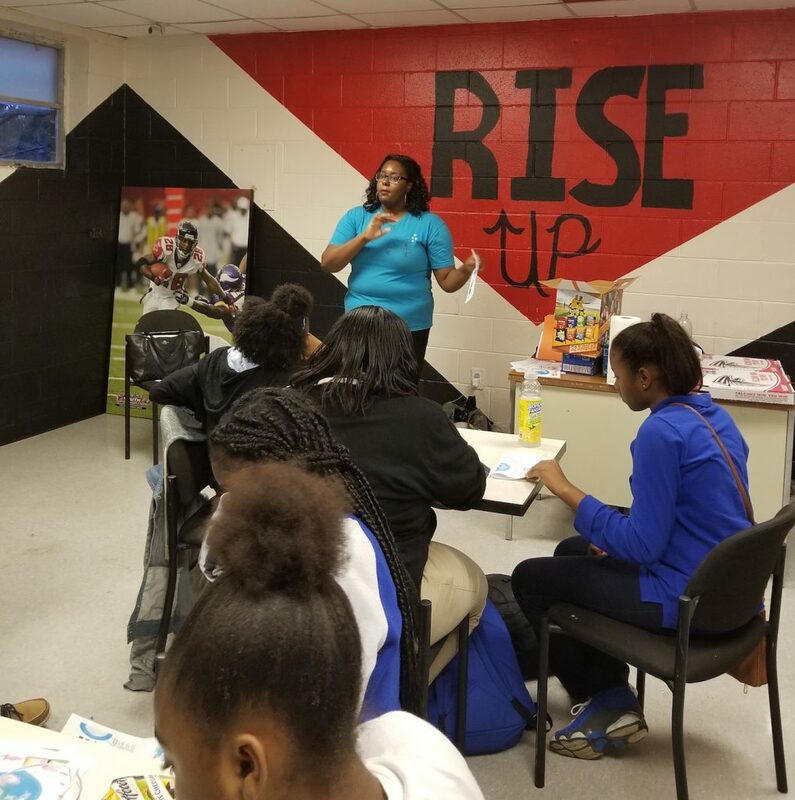 Ms. Dickerson is an epidemiologist for the Center for Disease Control and Prevention (CDC) as well as the owner of Soap Snob, a company that makes skin care products (soaps, lotions and face creams). The café was very interactive and the teens had a lot of fun. Ms. Dickerson spoke with the students about her journey to become a STEM professional as an epidemiologist, starting with her interest as a child and her college experience. An epidemiologist studies trends and patterns in disease and health conditions of certain populations. She spoke with the students about why she chose to be an epidemiologists and her work at the CDC. She also talked to the students about why she ventured into entrepreneurship and started a soap company. Ms. Dickerson talked about the process of making soap and bath bombs and the chemistry that goes into it. She talked about the chemical process that happens once the bombs are in placed in the bath water. She also talked about the materials that go into the bombs and what they do. Finally, she talked about the importance of measurement and the quantity of each material in the bath bomb. 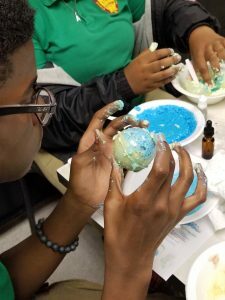 After the presentation, teens were able take part in the process while making their own bath bomb. It was really great for the students to learn about these two STEM career paths, one that included entrepreneurship. It also was great when Ms. Dickerson talked to some of the students about their own careers interests. Some of the kids were interested in pursuing STEM careers without even realizing they were STEM related until Ms. Dickerson pointed it out. 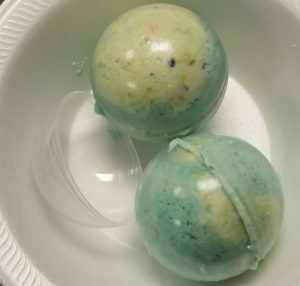 For our activity we made bath bombs! After learning the chemistry of soaps and bath bombs, it was only natural that the kids be able to create their own. A few of them had to start over, but every student left with a bomb to take home. It was a great opportunity for them to learn about a real world application of chemistry and have something to take home.